Welcome to the website of the Autosexing Breeds Association. These pages aim to provide visitors with a wealth of information about these breeds of poultry. If you join the association you will also have access to other breeders, breed standards and show information. 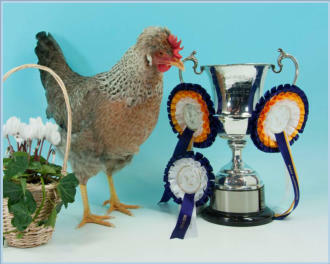 The Objects of the Association are to: • Improve, protect and promote Autosexing breeds of poultry recognised by the Poultry Club of Great Britain (PCGB); • Maintain the breed standards and promote the improvement of the breeds to meet the standards; • Promote Autosexing breed exhibition and Utility classes and educate breeders and judges on the standards; • Raise awareness of the breeds and the Society nationally and internationally.